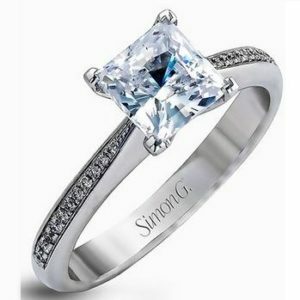 This 18 karat white gold diamond mounting by Simon G features .07 carat total weight of round brilliant diamonds. Center diamond is sold separately. 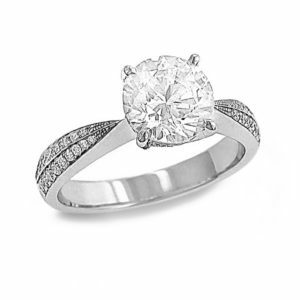 Charisma Jewelers offers fast financing through an independent financing vendor. Click here and learn more about your financing options. Directions: Google map us here.